Alexandra is a member of the class of 2014 at Robinson High School. She is in the IB program, and this is her third year on staff. 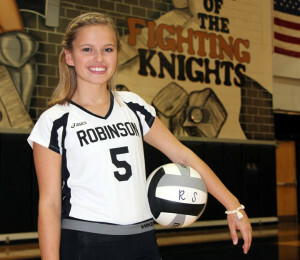 She plays varsity volleyball and is the co-editor of the Excalibur yearbook. Alex has been known to leave fun school field trips like High School Journalism Day at Busch Gardens to return to campus for math class. She often does not claim her twin sister. Her mother loves her more.